The use of artificial intelligence (AI) is spreading like wildfire. Not because it’s state-of-the-art technology, but because it comes with plenty of valuable benefits. Adopting AI goes far beyond following a trend that boosts your business for a while before a new trend comes along. AI is here to stay, and it’s only going to become more advanced and beneficial. According to AI research by MIT Sloan Management Review, 85% of executives believe that AI can help them gain or sustain competitive advantage. But, that’s only one of the numerous advantages of AI that apply equally to Fortune 500 companies, small to medium-sized business and sole proprietors. Let’s take a look at how AI impacts the future of work and how it can help you improve your business, no matter its size and the industry you are in. According to a Tata Communications report on AI and the future of work, 99% of business leaders believe that AI can increase productivity and efficiency. This is primarily because AI technologies can automate various manual processes. Automation saves a lot of time, which is especially important when complex, time-consuming tasks are concerned. With automation technology powered by AI, you can take a huge load off of yours and your employees’ shoulders, making them more productive and efficient. They can have more time to focus on core competencies and better contribute to your company’s success. What’s more, AI will help lower the risk of human error—preventing costly mistakes and saving time that you would otherwise spend on solving them. Sidebar: What is Artificial Intelligence? For the purposes of their study, Tata Communications defined AI as, “Systems that can learn and have the ability to perform reasoning beyond basic computation.” In today’s day and age, AI helps streamline structured decisions. In other words, it can take straightforward data and apply logical conclusions. For example, AI can help a bank assess a lender’s financials. But it can’t add the subtext that comes from meeting with the lender in person. There’s no objective data a machine can use to determine if it likes your tie. AI can identify if someone is wearing a tie or not. But, a human still has to make the judgment call on the aesthetics. The aforementioned report from Tata Communications shows another important finding. Namely, 93% of business leaders surveyed in the study believe that AI helps improve decision-making. This is because AI can help you make data-driven business decisions. It can sift through huge amounts of data in seconds to analyze it and provide you with accurate reports. This is very beneficial for sales forecasts, for instance, and any other predictions for taking your business in the right direction. It’s absolutely vital when it comes to all your financial decisions. Since there’s a lower risk of human error, you can be sure you’ll be making smart decisions. AI can play a huge part in the hiring process. Not only can it speed it up, but it can also help you hire the right people who will greatly contribute to your company. It can help you hire top talent by quickly sifting through resumes and looking only at the skills and qualifications of job candidates, which is essentially all that matters. That being said, AI can help you eliminate bias in hiring. It can identify any potential patterns of bias, and help you develop a strategy for better hiring. This is especially important when it comes to unconscious bias. You can also use an AI-driven tool to screen job candidates and see how well they would perform on the job. AI will make accurate predictions, helping you choose the right hires for the right job positions. Wagepoint customers Plum.io uses AI along with insights taken from industrial and organizational psychology to help businesses identify the ideal candidates. Perhaps the most important thing about AI in the workplace is the fact that it can truly empower employees. This goes beyond making them more productive and efficient. AI-powered tools can help people be better at their jobs and reach their full potential. According to a survey by Pew Research Center, 72% of U.S. adults express worry, while 33% are enthusiastic about a future where robots and computers are capable of doing various human jobs. But people don’t need to worry about AI because it won’t take their jobs. It will only take over certain tasks. So, it’s not about AI ruling out humans. It’s about AI and humans working together towards a common goal. Letting machines handle the tedious stuff, while humans focus on applying their problem-solving and creative thinking skills. One of the best ways AI can empower employees has to do with training. If you use, let’s say, Online Exam Software, and integrate it with AI tools, you can help your workers train better and smarter. This is just one of the many online training tools available. You can create online training exams, and gain insightful reports and analytics from your AI tools that will help you improve your training programs and efforts. Artificial intelligence can also greatly improve customer service. You can create an AI-powered chatbot and deploy it on any platform you want so that you can be available for your customers 24/7. Chatbots, like Drift, can interact with hundreds of users simultaneously—providing relevant answers to their questions with zero waiting time. Since they are powered by AI and machine learning, they can carry out intelligent conversations, and even empathize and show other emotions. You can also use AI to learn more about your customers by analyzing their behavior. AI tools can help you better understand their needs so that you can tailor your services to those needs and improve customer experience. Cybersecurity threats seem to be popping up around every corner, which is yet another instance where AI can come in handy. AI security tools, like Comodo, can help prevent potential cyber-attacks by keeping their watchful eye on your systems—making sure no one crawls in and leaves any malware that could hurt your business. AI will monitor your systems for any pattern anomalies. If there’s any fraudulent behavior, it will recognize the pattern and alert you immediately, before any damage takes place. This is especially important for financial transactions. AI is a game-changer that completely redefines the way businesses of all sizes do business. All these ways in which it impacts the future of work are just a small fraction of its huge potential. We’re certain to witness a lot more innovations and applications of AI, but one thing’s for sure: AI isn’t going anywhere. So, the sooner you embrace it, the sooner you can reap all its incredible benefits and springboard your business to great heights. 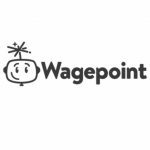 Accountants, bookkeepers and small businesses who use Wagepoint to automate small business payroll are taking advantage of AI by letting software do the manual calculations and help with time-consuming compliance issues. This frees up more of their time to focus on their businesses, instead of mundane tasks. In human terms, we call this a win-win. Author: Kamy Anderson is an ed-tech enthusiast with a passion for writing on emerging technologies in the areas of corporate training and education. He is an expert in learning management system and eLearning authoring tools—currently associated with ProProfs Training Maker.